"PITT PANTHERS 1963: REGIONAL AND “NO BOWL” CHAMPIONS Part III"
After their October 26th loss to Navy the Pitt Panthers rebounded with four consecutive victories and while they did not quite return to their lofty ranking as the third best team in the nation, they entered the re-scheduled finale against Penn State just short at number four. Certainly Chancellor Dr. Edward H. Litchfield was pleased that the team had spent the entire season ranked within the confines of the nation’s Top Ten. While Head Coach Michelosen had responded to the dictate to “elevate Pitt football and make it more exciting,” the Penn State game was a major challenge. The 7 – 2 Independent Nittany Lions had also faced a challenging schedule, had cracked the Top Ten early in the year, and had defeated Pitt four of the past five seasons. Penn State’s Head Coach Rip Engle was as confident in his team as Michelosen was in his. Engle said, “I’ve never been prouder of a team than I am of this one. If Pitt is as good as they say, then we’re right with them.” Hampered by a hip-pointer, Panthers quarterback Fred Mazurek knew that what was in the 1960s, a very heated in-state rivalry would come down to the wire. He drove Pitt to a long but unfruitful foray into Lions territory in the first quarter, and parlayed a lengthy second period drive into a Paul Martha one-yard touchdown plunge that gave Pitt a score but left them trailing 7 – 6 as a two-point conversion attempt failed. The game see-sawed until unheralded Penn State receiver Don Caum made a great ten-yard touchdown reception, one of four catches that gave him ninety-nine receiving yards for the day. The Lions carried what appeared to be a solid 21 – 15 lead into the fourth quarter as Pitt’s Mazurek had been forced to the bench with his painful hip injury. The exceptionally competitive Mazurek re-entered the fray in the final stanza after pleading his case to the coaching staff. In obvious and severe pain, he had pushed through most of the game and demonstrated his leadership by taking his offense on a seventy-seven yard drive that climaxed with his own seventeen yard touchdown scramble. Mazurek, despite his physical agony, carried the ball twenty-three times and generated 250 yards in total offense, securing a 22 – 21 win that remains one of the highlight games in what had been a terrific annual rivalry game. Perhaps it was unfortunate timing with every historical notation indicating that had the President not been assassinated, had the November 23rd games not been postponed, and had the Panthers secured the same 22 – 21 victory over Penn State, they would have received one of the limited major bowl bids of the season. 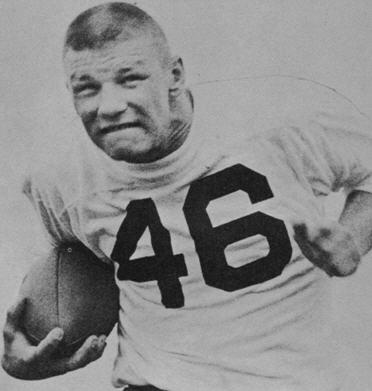 Not only was Pitt’s 9 – 1 team an attractive and exciting draw, they featured Mazurek and First Team All Americans Paul Martha and tackle Ernie Borghetti. Many of our readers may recall that there were but nine post-season bowl games and only four were considered to be “major” relative to national importance and interest. The Gator Bowl played in Jacksonville, Florida was perhaps the most prestigious of the “second string” post-season contests and in order to insure the most attractive match-up possible would always extend their invitations prior to the end of the season. After the November 23rd cancellation, the major bowl committees were left to view Pitt’s remaining two games against Miami and Penn State from the perspective of inviting a team that potentially could be 7 – 3. The Orange Bowl had considered a Pitt vs. Nebraska contest as exceptionally competitive but instead invited Number Five Auburn to face the Huskers. The Sugar Bowl focused on hosting two southern teams with Alabama facing Number Seven Mississippi State. The Rose Bowl of course was reserved for the Pacific Coast champion which in ’63 was Washington who Pitt had defeated in the season’s second game, facing Illinois, the Big Ten title holder. The Cotton Bowl had the opportunity to have the match-up of the season, pitting Number One Texas against Number Two Navy and their Heisman winner Roger Staubach. The Gator Bowl Committee which eventually chose unranked Air Force to play nineteenth ranked North Carolina delayed a bit longer than usual but targeted Pitt and the Sun Bowl did step forward and offered the Panthers a spot in their game. In the end, Pitt coach Michelosen left the decision to the team. After “the (Penn State) game was rescheduled and the major bowls had made their commitments,” team captain Al Grigaliunas said. “The only choices we had were minor bowls and we all decided to say, ‘The heck with it. Let’s stay home.’” Mazurek, typifying the maturity of the Pitt team stated, “It was disappointing because certainly you’d like to go to a big bowl game. But we understood it wasn’t in the cards.” He added that losing out on a bowl bid and being forever known as the “No Bowl” team brought the team quite a bit of recognition. The loss of their senior core and with fan knowledge that rebuilding was in order still left 1964’s record of 3 – 5 – 2 with losses to their higher level opponents as quite a disappointment. 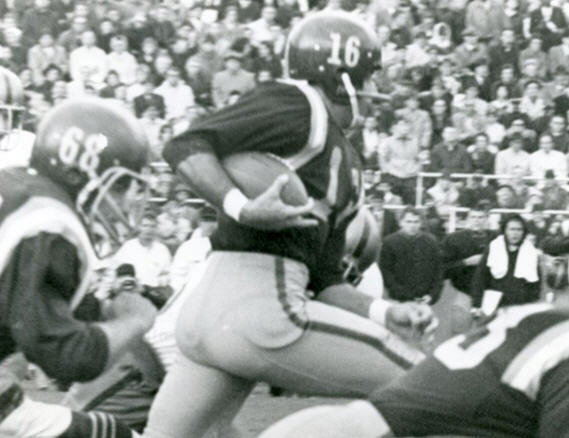 1965 began with a close 17 – 15 loss to Oregon but a second week victory over Oklahoma had spirits soaring until it proved to be a prelude to three consecutive losses and the realization that Oklahoma, which finished at 3 – 7 in Gomer Jones’ second and final season as Sooners head coach, wasn’t a very good football team. The Panthers own 3 – 7 finish also marked the end of John Michelosen’s reign as Pitt’s head football coach. It very much marked the end of an era at Pitt as recruiting became more broad-based and less local, and the tremendous academic accomplishments of the team were not to be equaled. The end of Michelosen’s tenure coincided with that of Chancellor Litchfield. The innovative administrator who popularized the trimester college calendar and whose vision for the University of Pittsburgh led to the physical transformation of the campus could not secure the funding that local industry had pledged for his expansion plans and thus was released. He had enjoyed a distinguished career as an academic administration innovator and played a key role in the post-World War II reconstruction efforts in Germany. 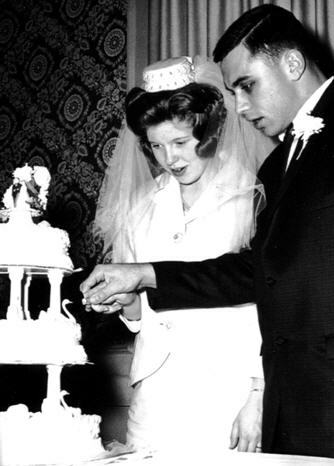 Unfortunately, on March 8, 1968, he, his wife, two of their children and his mother perished in a private plane crash in Michigan. The Litchfield Towers dormitories on the Pitt campus are named in recognition of his many contributions. Quarterback Mazurek of course was among those Panthers who later became so successful and who also successfully wooed and married Coach Michelosen’s daughter Sue! All eleven starters found a great deal of success and prosperity in their chosen fields of endeavor. Team leader Mazurek was quick to note “We had a quality program in the early 1960’s and we were student-athletes who went on to become successful in the professional world. Look how many became doctors and dentists and lawyers and engineers and teachers and businessmen. 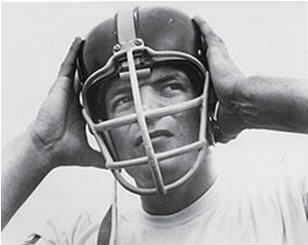 When you see what people have accomplished, it gives you a sense of pride, and is indicative of the character and the quality of the coaches at Pitt during this time.” The 1963 Pitt football team was perhaps reflective of so many of the positive attributes of college football that it should not be forgotten.